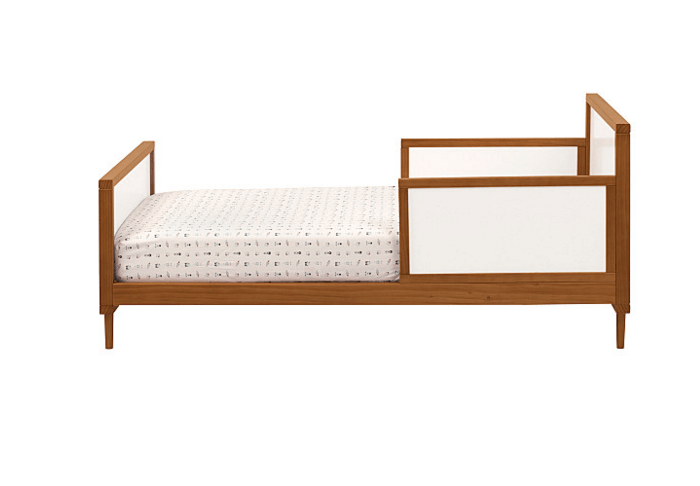 Sized perfectly for building independence, the Skip Toddler bed is just the right height for toddlers to safely climb in and out of bed on their own. 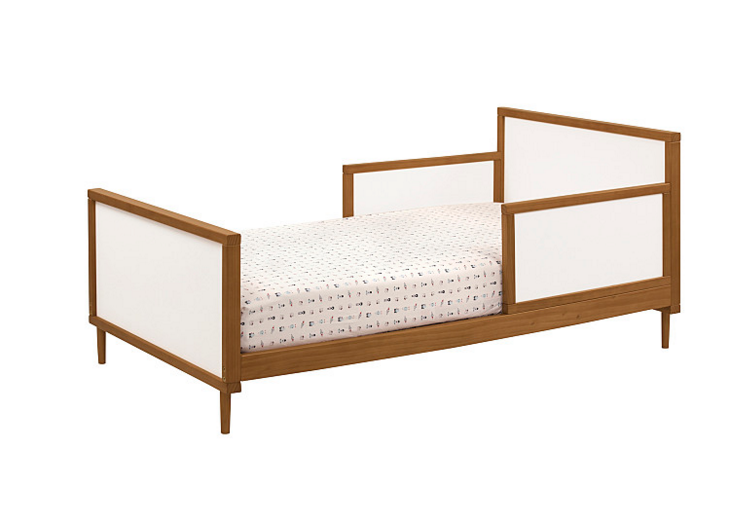 Inspired by classic mid-century design, the gently tapered feet and framed end panels of the Skip Toddler Bed make it a dandy choice for the modern nursery. 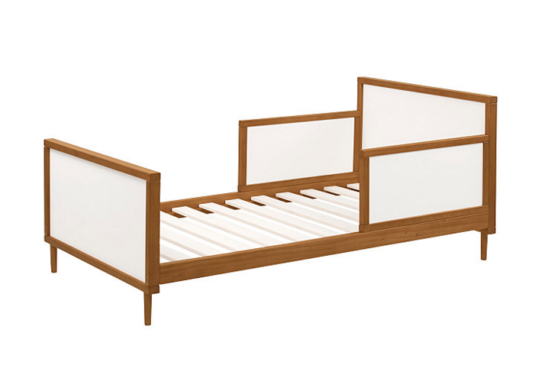 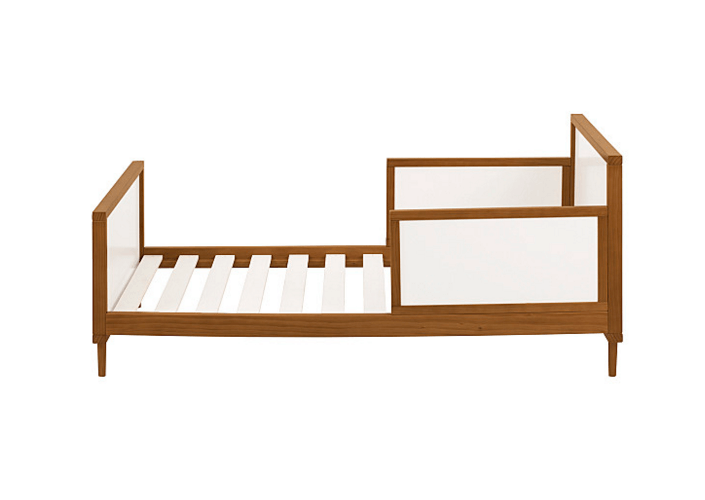 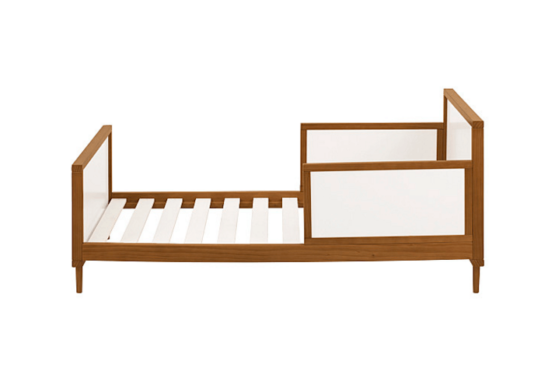 The Skip Toddler Bed is crafted from sustainable New Zealand pine wood, and finished in a beautiful chestnut with white panels.